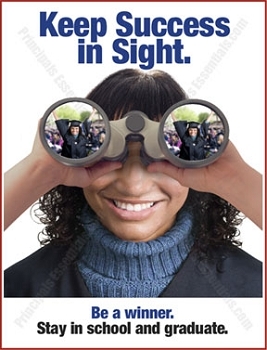 Encourage students to set their sights on graduating. 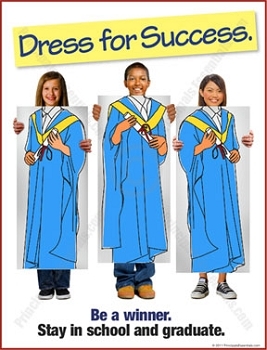 Encourage students to graduate & dress for success. 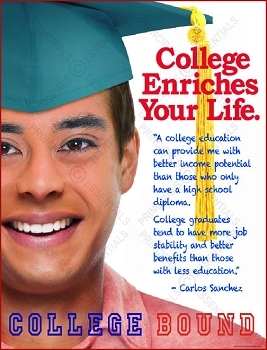 Encourage young students to stay in school. 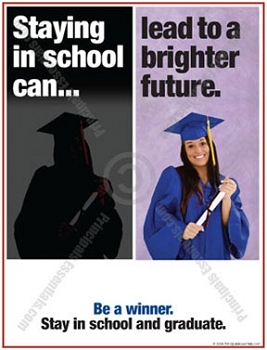 Staying in school can lead to a brighter future. 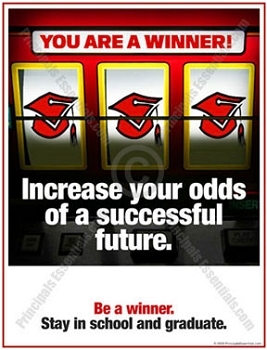 Increase your odds of a successful future. 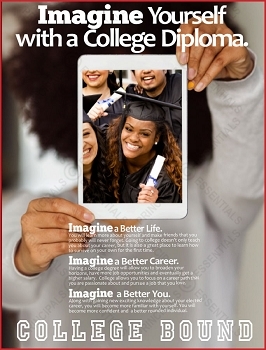 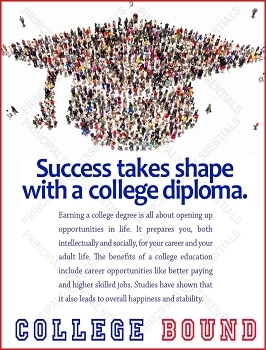 A diploma increases students' odds for a successful future. 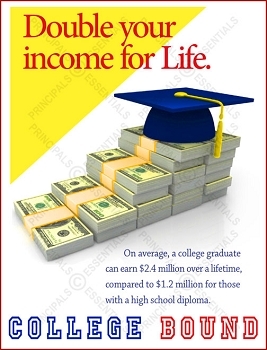 Students that graduate achieve better financial success. 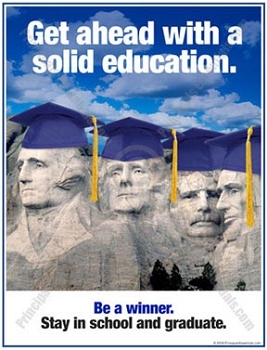 Get ahead with a solid education. 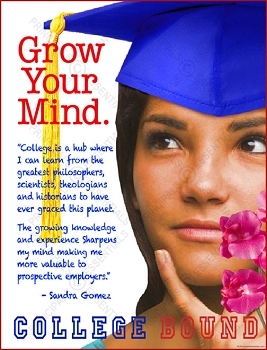 Students that graduate school have more solid futures. 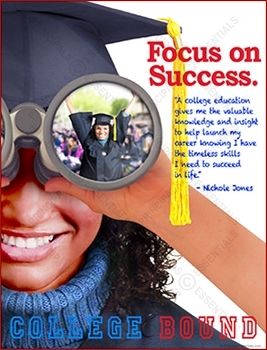 Encourage students to achieve success by graduating. 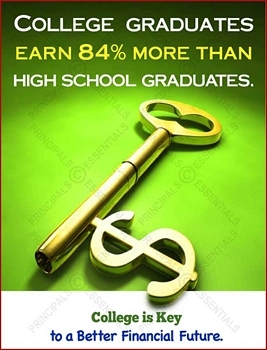 With the pressure many students face from so many different avenues in today’s hectic world, it is no wonder so many children are dropping out of high school each year. 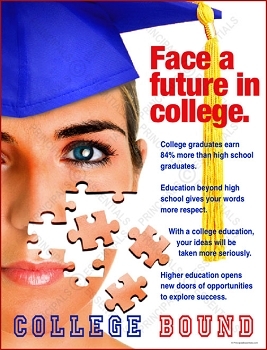 Education Week Magazine reports that over 3 million children drop our of our high school system annually. 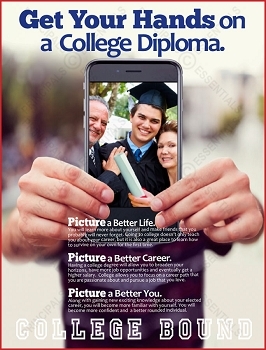 Giving your students the little extra motivation they need to stay the course and graduate may be much simpler than you think. 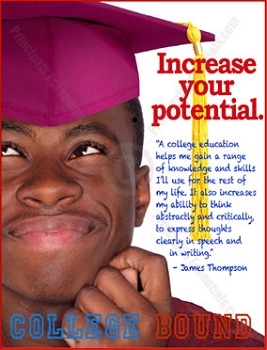 When surrounded by frequent and positive motivation, students can be empowered to achieve anything they put their mind to. 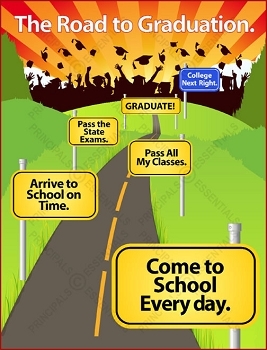 By posting our “Don’t Drop Out” posters around the hallways, counseling offices, or classrooms of your school, you may be able to inspire some of your students to push through their struggles and stay in school. 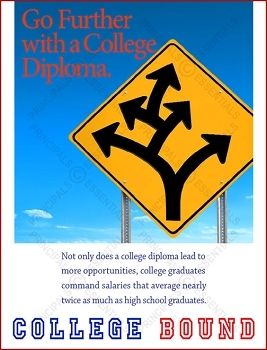 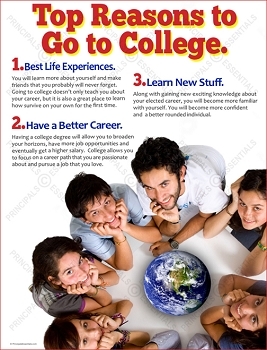 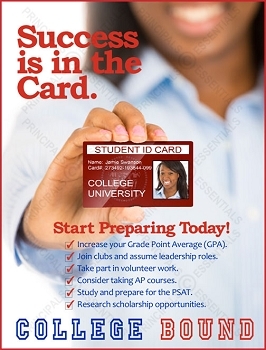 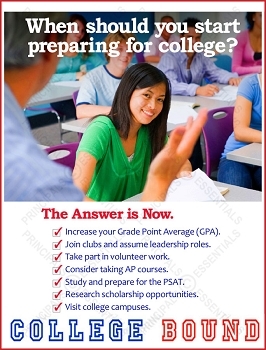 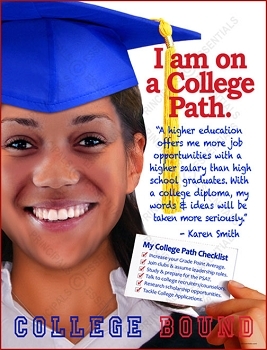 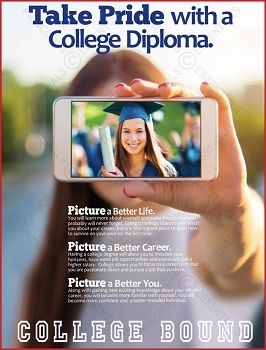 So what makes our “Don’t Drop Out” posters different from other posters available on the market? 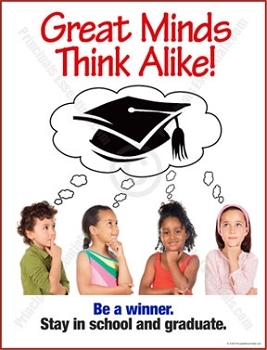 With the combination of useful, factual, and intriguing information, your students will have more than just a catchy phrase or rhyme left in their head—they will have the informational tools they need for success. 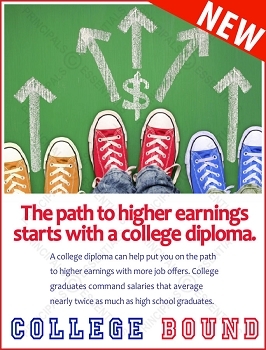 By giving your students facts and statistics, along with a little encouragement, they can understand the importance of obtaining their high school diploma in order to put them on the path toward achieving their lifelong dreams and aspirations. 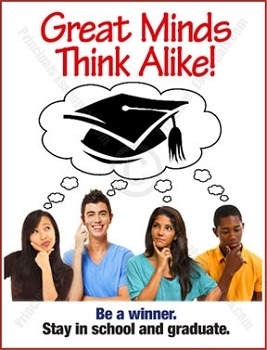 Every student learns and absorbs information differently. 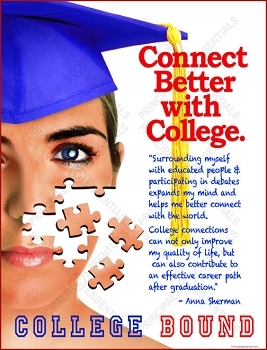 For some, a personal conversation or intriguing classroom lesson is just what they need to get the message across. 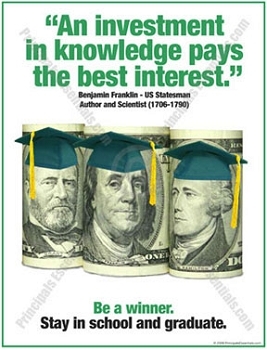 For others, visual learning is easiest. 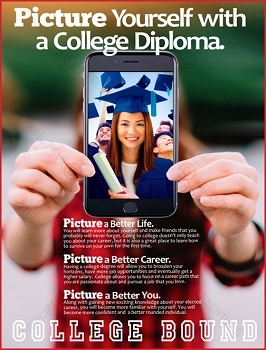 If you want to make an impact on every student, our “Don’t Drop Out” posters will help you to achieve your mission of helping them make the choice to stay in school. 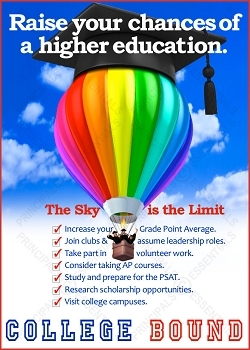 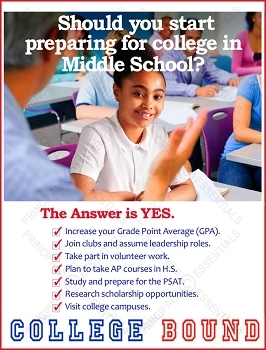 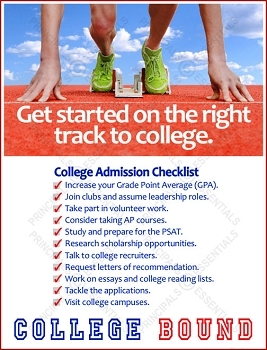 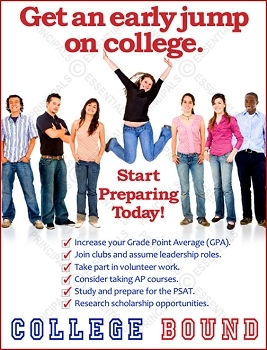 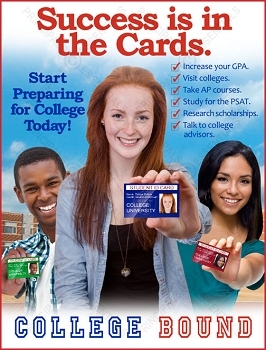 For more information about our school banners and posters, feel free to give us a call at 888-767-6182.